Rocket powered BZTSpeeder! It comes with a loading capsule for tooling around KSC, but is meant to be packaged up and sent to Duna as a small science lander. It has a smidge under 3300dV and is able to deorbit from 75K, land and make orbit again. 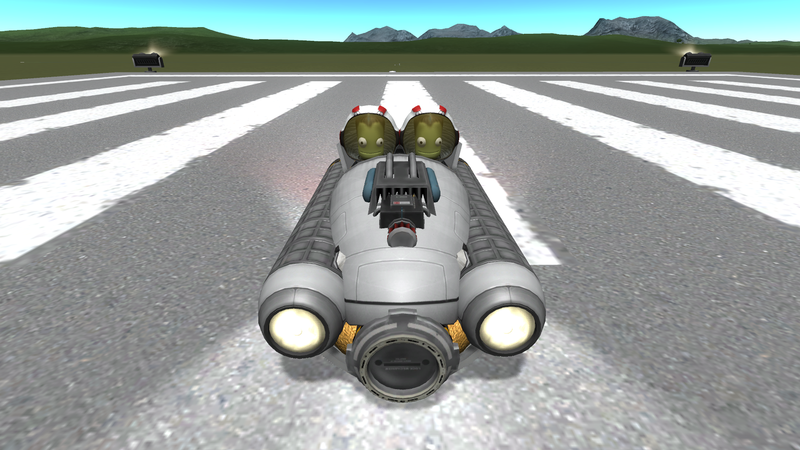 A stock aircraft called BZT RocketSpeeder. Built with 85 of the finest parts, its root part is probeCoreOcto2.